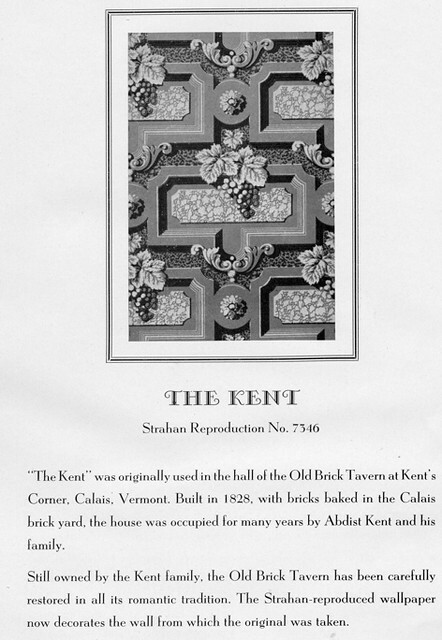 "The Kent" was originally used in the hall of the Old Brick Tavern at Kent's Corner, Calais, Vermont. Built in 1828, with bricks baked in the Calais brick yard, the house was occupied for many years by Abdist Kent and his family. 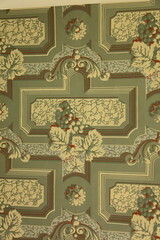 Still owned by the Kent family, the Old Brick Tavern has been carefully restored in all its romantic tradition. 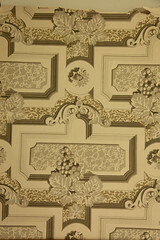 The Strahan-reproduced wallpaper now decorates the wall from which the original was taken.